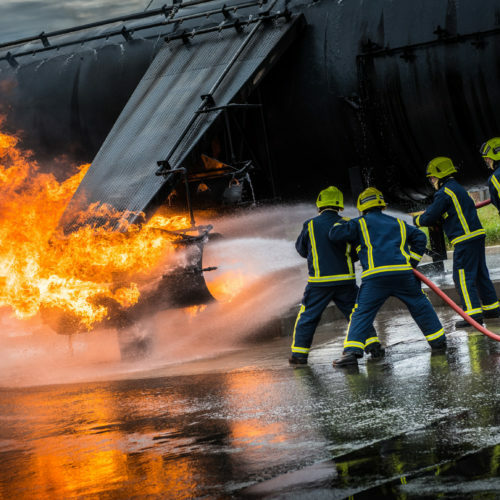 Firefighters at BAE Systems’ Fylde site are getting all skilled up thanks to a new training area. 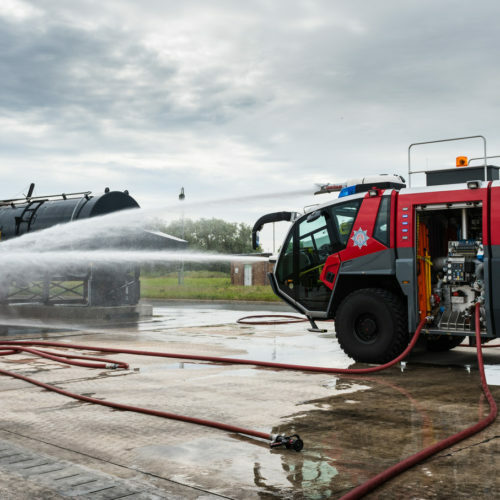 The team of 25 in the aircraft maker’s own fire service, based at Warton, is making use of the latest technology at their purpose-built training facility on the south side of the site’s airstrip. 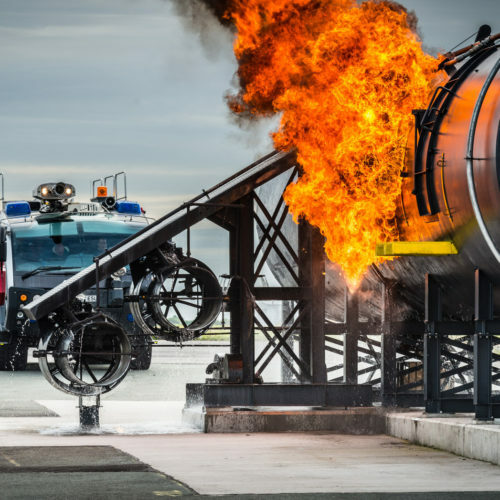 The high-tech Fire Ground Training Simulator replaces a smaller facility based on a hybrid of a civil aircraft and a Harrier jet. The new site was built to replicate the company’s 146 airliner, and station watch manager Kieran Merriman, says it is allowing his team to practice the latest training techniques and build the skills needed to deal with incidents involving the biggest aircraft at the site. Crews from the service are on standby during daily flights at Warton as well as test flights of some of the world’s most technologically advanced fighter jets. 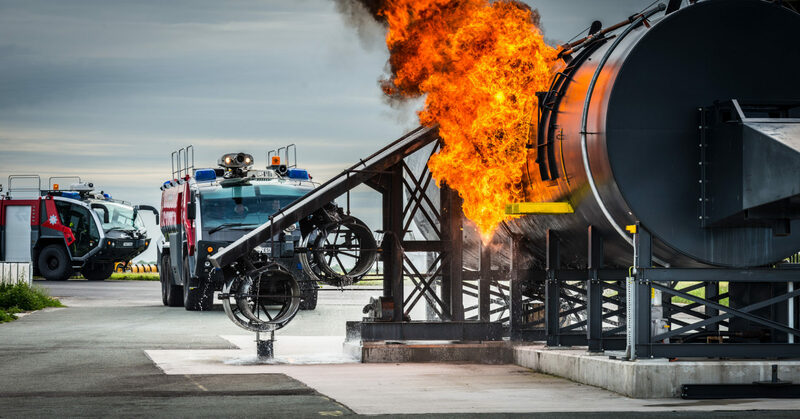 And while the Company’s aircraft, including Typhoon and Hawk, have an impeccable safety record at Warton, Mr Merriman said the new facility now ensures firefighters can access the most realistic on-site training possible should a real incident ever occur. He said: “The new fire training simulator has been designed to provide the most realistic training environment possible for our firefighters. “Having a facility on site allows the fire fighters to train to a high standard. 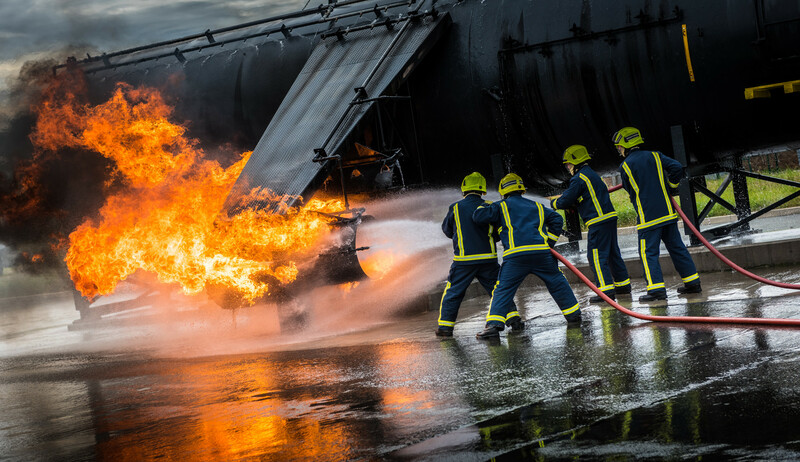 This training ensures they are competent and prepared to work within the hazardous environments that they may encounter.